Should I Breed My Pet Bird? Many pet bird owners, at least once or twice, entertain ideas of allowing their pets to have a family. While having a nest full of adorable chirping babies may seem like a great idea at times, owners should know what they're getting into when they choose to breed their birds and should take several key issues into consideration before rushing out to buy their bird a mate. If you can't provide all of that and more, then it's best to refrain from breeding. Do you have money set aside to use in case of an emergency? Do you know what to do if your hen becomes eggbound? Can you hand feed a tiny baby bird with a syringe, on a schedule, without giving him crop burn or worse? When you choose to breed birds, you are essentially taking responsibility for the lives of the hen and any potential babies. If all four of those key breeding components aren't in place, the result can be deadly. A big issue to take into consideration is your relationship with your pet bird. Many times a bird who takes a mate becomes less interested in his "human flock". Are you willing to risk giving up your bond with your bird to raise a clutch of babies? Many bird owners find that for them, the answer is a resounding NO. Can You Accommodate a Breeding Operation? Another issue to ponder is whether or not you have the space to accommodate a breeding operation. Supplies you will need include nest boxes, extra cages, an incubator, and a brooder, just to name a few. If you don't have the room to house these items, breeding is pretty much out of the question. While just these points may seem overwhelming, the truth is that we haven't even scratched the surface of everything that it takes to be a good bird breeder. For this reason, most bird owners decide that it's best to leave breeding to the professionals and just enjoy their pet's companionship. However, if you think you have what it takes to be a breeder, and are willing to make the necessary sacrifices, the best thing to do is talk your decision over with your avian vet before beginning the process. He or she will be able to offer valuable advice and will make sure that your birds are in proper breeding condition. 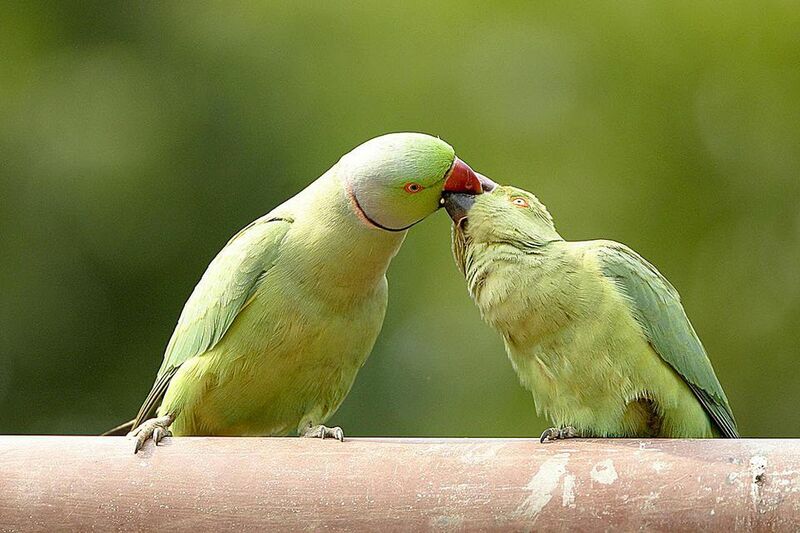 How Can I Get My Lovebirds to Mate? Do Sun Conures Make Good Pets?